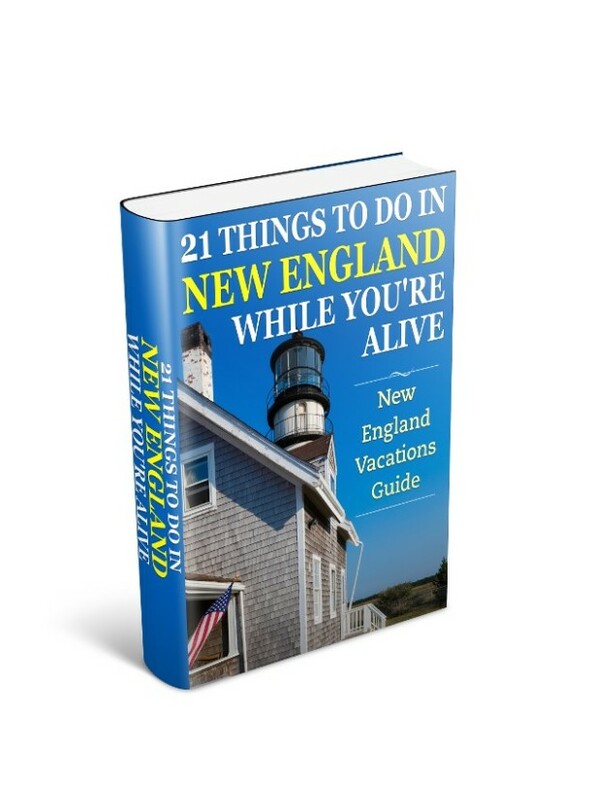 Mystic Seaport - All About New England and the Sea. Then Mystic Seaport is right up your seafaring alley. 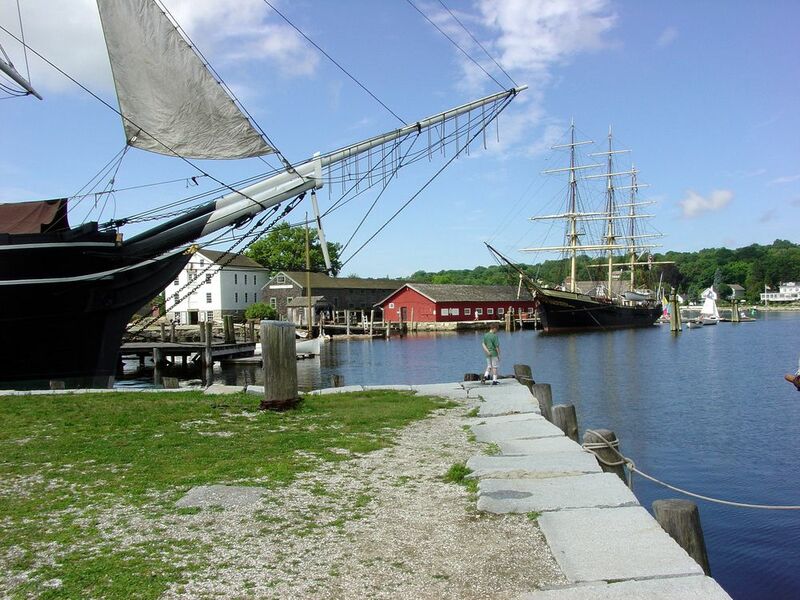 Mystic Seaport stands on the Mystic River and close to the historic town of Mystic – once a thriving shipbuilding town. The area is now home to the Mystic Seaport museum and preservation yards. 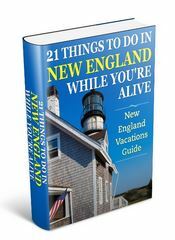 For a landlubber – like me – Mystic Seaport offers a chance to experience Tall Ships, 19th century shipbuilding crafts, and the atmosphere of a past rich in whaling, fishing, and exploration. Over the years Mystic Seaport has acquired a number of historic ships through purchases and donations and many of the ships are designated as National Historic Landmarks. The seaport has three tall ships, and they’re Charles W. Morgan, L.A. Dunton, and Joseph Conrad. I’m drawn like a magnet to Tall Ships. There’s something elegant and majestic about them. And one of the striking examples to tour at Mystic is the Charles W. Morgan. Built in 1841 in New Bedford, Massachusetts, the Morgan is a wooden whaling ship. This tall ship made 37 voyages in search of whales until finally retiring in 1921. A fascinating trip awaits you as you walk the decks of this one-of-a-kind national treasure. Also in the collection is the Sabino, a wooden coal-fired, steam-powered passenger ferry. During the season Sabino can be seen earning her keep, by taking visitors like you on half-hour or 90-minute cruises along the Mystic River. And moored near the boathouse is the Emma C. Berry first launched in 1866, and since then has undergone many changes as a fishing vessel and a coastal freighter. She was beautifully restored and donated to Mystic Seaport in 1969. Each of these ships has a unique and rich history you’ll discover for yourself. A short walk from the ships are the village exhibits and galleries. 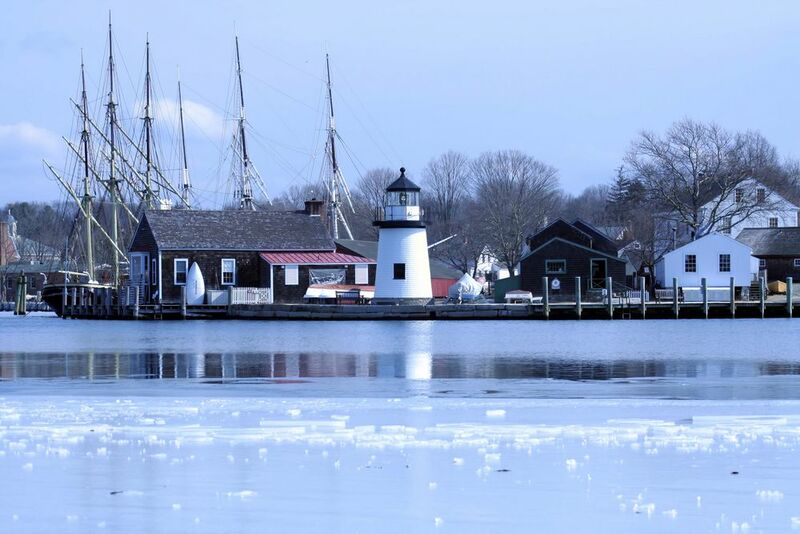 A stroll through the recreated Mystic Seaport village stirs the senses. Most of the buildings in the village are authentic and moved from other locations in New England and the Northeast. With 46 exhibits you’ll discover a rich assortment of stores, shops, and homes. Wander around the nautical shops and discover rope-making, rigging, cooperage, and the sail loft. And two must-see exhibits are the Mystic River Scale Model, and the Shipsmith shop. Further down from the village check out the galleries and take a peek inside both the Voyages and Figurehead exhibits. The three-floor exhibit of Voyages celebrates the legacy of America and the sea, and how it continues to impact our lives in many subtle ways. And across the street is the Figurehead exhibit, and a wonderful collection of carvings. Unfortunately, these carvings are a bittersweet display. The desire for these carvings on ships has dwindled and its now become an endangered art form. I don’t know about you but I’ve always had a healthy fascination for the old master craftsman skills, and love to watch people work with them. And many of these skills are being lost as the economics of our time reduce the need for them. Wooden ships are a thing of the past, and so the wonderful carpentry and shipwright skills have dwindled throughout the world. But here in this corner of the world they are uniquely preserved. In the Henry B. duPont Preservation Shipyard many of these skills are still practiced to keep the museum ships in tip top shape. In the yard you’ll see carpenter’s shops, a rigging loft, a paint shop, metalworking shop, lumber shed, and an old-fashioned saw mill. Close by is the documentation shop containing vital records used by the museum’s shipwrights, carpenters and riggers, to maintain accuracy as they work on preserving the museum ships. Just across from the duPont building is the shipbuilding exhibit. Here you can see the keel of the whaleship Thames, and take in a revealing display of the many stages of building a ship. Located 100 miles from Boston on Route 95 at exit 90 in Connecticut, the Mystic Seaport exhibits are open between 9-5pm April-October, and 10-4:00pm November – March. Like Old Sturbridge Village your ticket is good for two days once validated. The grounds offer sit-down restaurant dining and more fast-paced options. The town and surrounding area of Mystic is a popular destination and has a wide variety of accommodations to suit all budgets and preferences. The resource below will help you find the best for you. To discover where to stay deals, and compare rates and amenities with a trusted and professional travel organization then check out Mystic lodging and accommodations.